3DS Max Design is now included in the Premium and Ultimate versions of the Autodesk infrastructure and Building suites. This product is largely has been seen as a fancy tool for architects. This view of 3DS max is far from the truth. It has always been a great tool for creating visualisations of your design, and communicating your design to clients, public consultation and project teams by creating still images, animations and photomontages. Autodesk acquired a product called Dynamite VSP from a company called 3AM Solutions. Dynamite VSP was renamed Civil View and it is now included as part of 3DS Max Design. Civil View allows you to directly link your design from Civil 3D and Bentley MX. When the link between 3DS Max Design and Civil 3D is made the 3DS Max Design model retains the link, when your Civil 3D model changes the 3DS Max model can be updated instantly. Civil View also has tools to easily add road marking, fences, lighting, animated vehicles & sight distance analysis. You can also import traffic simulation data from Vissim & paramics. 3DS Max Design uses real world lighting so you can accurately see how your design acts in real world lighting situations and you can do lighting analysis. Install 3DS Max Design it and have a play with it. It will open a new world to you. To see some samples of civil work done with 3DS Max Design click on the link below. 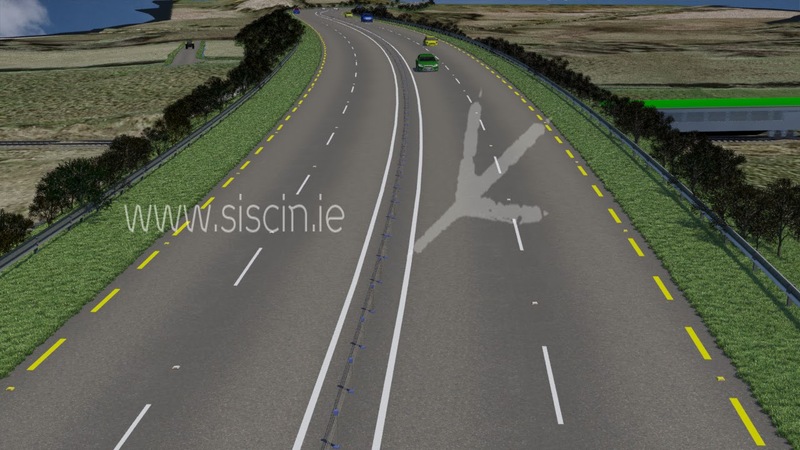 Dan Deery is a director of Siscín which is a company based in the west of Ireland specialising in visualisation for the Civil Engineering industry. At Siscín we create 3D Animation resolution images and photomontages. We specialise in Engineering and architectural projects. We specialise in infrastructure projects such as road rail and waterways. But have experience in other area such as water, renewable energy, buildings, pharmacutical, Oil and Gas, Architecture and interiors. We also offer BIM consultancy services and training. We are often asked 3D and BIM related questions and in response to the number of questions we get we have decided to create this blog to answer some of these questions. Please feel free to send us your questions on 3DS MAX, BIM or Revit and we will do our best to answer your question through our blog. Dan Deery is a director of Siscín which is a company based Ireland specialising in visualisation for the Civil Engineering industry and BIM.